In early 2015 Google ended consumer based operations for their Google Glass product. For a variety of reasons, Google decided to overhaul their push into augmented reality. For Google’s initial target user, the product all but disappeared. However, all along Google, as it always does, has a backup plan. This plan came in the form of enterprise applications of the Google Glass platform. Right now there is a thriving market for Google Glass at work and there are 10 companies partnering with Google to make this a reality. These companies are referenced in Google’s Glass at Work Page. These companies are doing amazing, innovative things with a wearable device that many thought was completely down-for-the-count. With Augmedix’s recent $17 Million Round of funding there is no better time to take a look at Google’s often forgotten venture. Advanced medical applications is hoping to bring wearable tech into the medical sphere. They have created an application for Google Glass that brings expert doctors to any operating room. For example, if someone enters an emergency room with an extremely unique medical case, as a patient you want someone who is an expert at treating this case in the room with you. However, that isn't the case, and it is unrealistic to think that there are experts in all fields in all hospitals. AMA solves this problem by bringing real time telemedicine and live-surgery demonstrations. APX labs have created an amazing enterprise application for Google Glass. They have created an enterprise platform that is customizable across industries. Currently their platform is used in aerospace, oil and gas, utilities, automotive and telecommunications. Companies use their application to reduce workplace errors, increase timeliness of manufacturing, implement expert guidance, and real time guides. Augmate at it’s core is an enterprise application that helps customers use and deploy their smart glasses and wearable devices. They create a unique experience for companies to be able to track, monitor, and maintain all wearable devices across their company. Augmedix just announced a new $17 Million funding round on April 24th that valued them at an unknown amount. The switch to electronic health records have forced doctors to spend hours behind the computer and much less time seeing patients. Augmedix’s Google Glass application brings real time transcription of medical records instead of having doctors transcribe and chart themselves. CrowdOptic provides a live streaming solution for wearables. They modify Google Glass’ user interface and allow streaming to be easy and accessible to anyone who puts on Google Glass. GuidiGo is unique to the other companies on this list as they are the only company using Google Glass for entertainment. They create unique, tailored tours for museums. With image recognition, and maps built into the user experience they create an non-intrusive Google Glass experience and bring it to mainstream consumers, not just industrial workers. Interapt is an all-in-one wearable workplace solution. 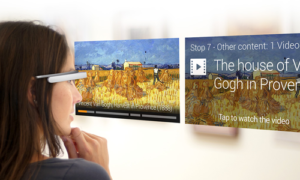 However, they implement their use of Google Glass to create training and streaming solutions. 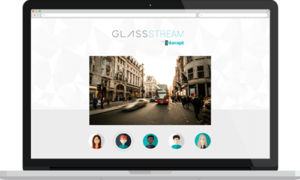 They reduce operational costs by implementing glass and offer real-time collaboration at any time using glass streaming. Pristine is similar to the previously mentioned Augmedix. 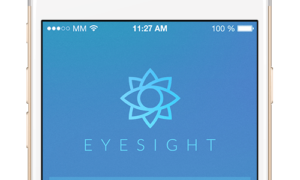 They have developed a product “EyeSight” that implements Google Glass to bring off site experts into the view of an employee. It gives the opportunity to workers to use either their smartphone or Google Glass to livestream their issue, and have an expert at the other end provide immediate visual input to solve the problem. Wearable Intelligence is listed as a Google partner, however they have since pivoted and are now Parsable. They have switched from hardware development (Google Glass). To software development and are now building an application “Sera” that aims to replace paper & walkie-talkies. Ubimax proved integrated computing solutions. They are an all-in-one solution for wearable tech at work. They provide consulting, software dev, and application supports. They break down their product offering into a few separate entities that are available, pick, make, inspect, assist, care, and build. They also offer a custom option where a customer can have UbiMax build a new application from scratch for a specific, unique industry.